Anurag Kashyap's meet with Rajnikanth! Imaikkaa Nodigal which is being directed by Ajay Gnanamuthu was commercially sucessful among the audience starring Nayanthara,Anurag Kashyap, Atharvaa and Raashi Khanna in lead roles. The success party for the movie happened on September 6th in the city. 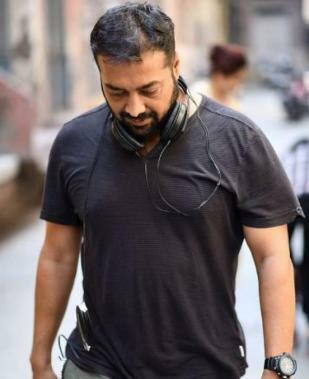 We interviewed Anurag Kashyap who changed the era of Bollywood by giving films which were critically acclaimed like Gangs of Wasseypur and Raman Raghav 2.0, he was very happy about it and enjoyed every thorough moment. He was very keen on films and he also said that Shankar gave him a surprise “One day i just went to the sets of 2.0 to surprise and meet Shankar but the surprise was for me. He made me met Rajinikanth” He also added that “I’m a huge fan of Rajnikanth and he liked & praised Gangs of Wasseypur. He told me to do a film like gangs of wasseypur. That was an amazing fanboy moment” It’s happy that his debut Tamil film is being entertained and loved by the audience. Congratulations to the team of Imaikkaa Nodigal and wishing all the success from our team to Anurag Kashyap for the release of his next directorial flick Manmarziyaan. >>Is IMAIKKAA NODIGAL Releasing Today? >>Preparations For 2.0 Trailer Underway?